Find the room you need at Village Oaks. 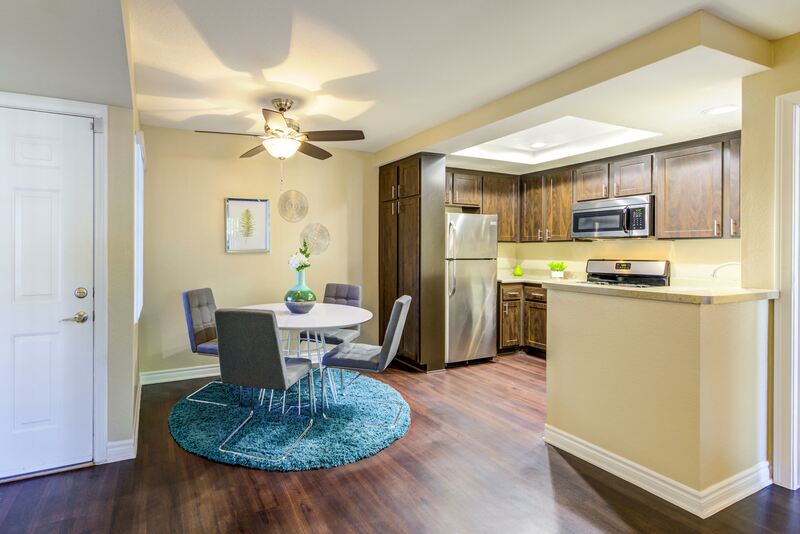 With awe-inspiring valley and mountain views, our spacious one and two bedroom apartments for rent in Chino Hills, CA offer an unbeatable value in luxury living. Newly renovated and featuring design-inspired extras and finishes, you will love coming home to this welcoming community. 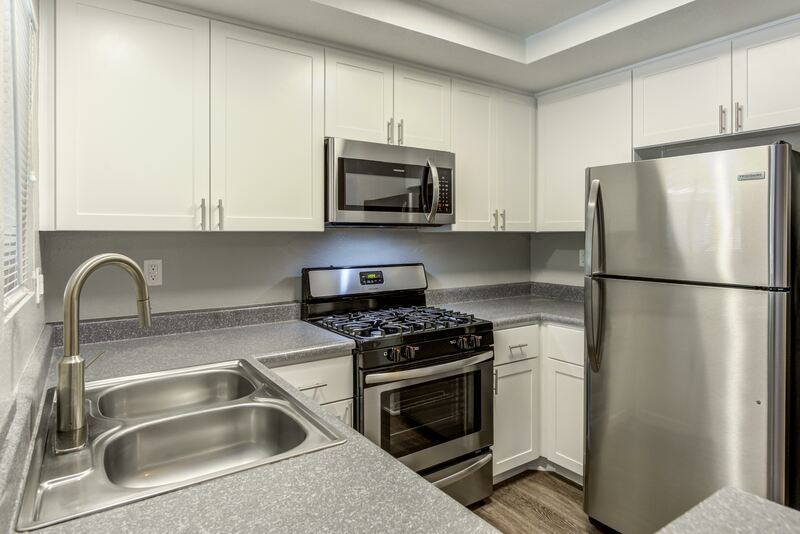 Espresso or white cabinetry options and a fully equipped kitchen with stainless-steel appliances highlight the modern kitchens found in each of our homes. This is a space perfect for entertaining or enjoying a quiet night at home streaming your favorite shows. You will also appreciate our easy-to-clean wood-style flooring and the convenience of having your very own in-home washer and dryer. Ready to schedule a viewing? Give us a call today. Village Oaks is here to be your home in Chino Hills.